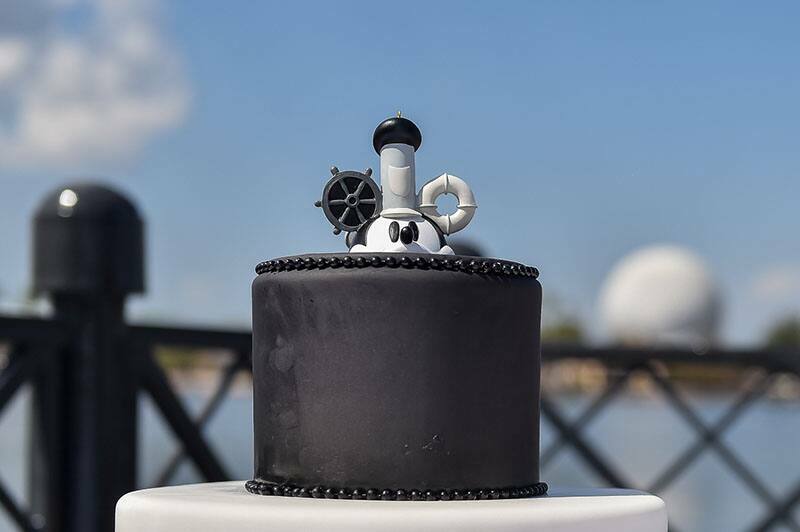 Pay tribute to Steamboat Willie in this week's Wedding Cake Wednesday! 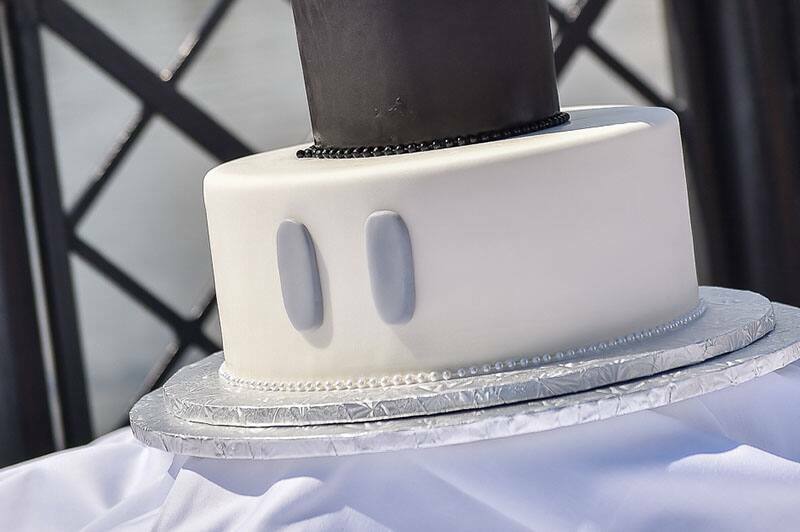 Drawing inspiration from the animated black-and-white short film, each of the two tiers subtly mimics Mickey Mouse's classic attire. 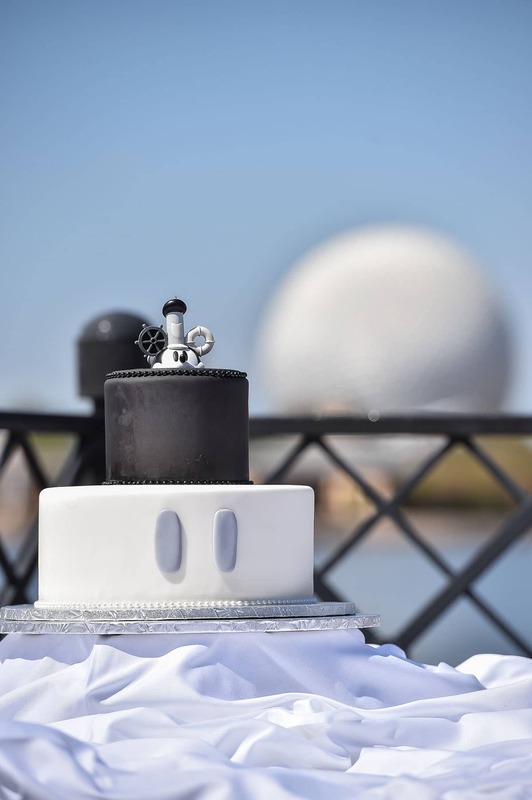 The one-of-a-kind cake topper adds the wow factor!